One of us is not tired of winter. One of us is still excited every time the door opens and the white stuff is glimpsed. One of us cannot wait to run outside, to frolic and leap with boundless abandon. 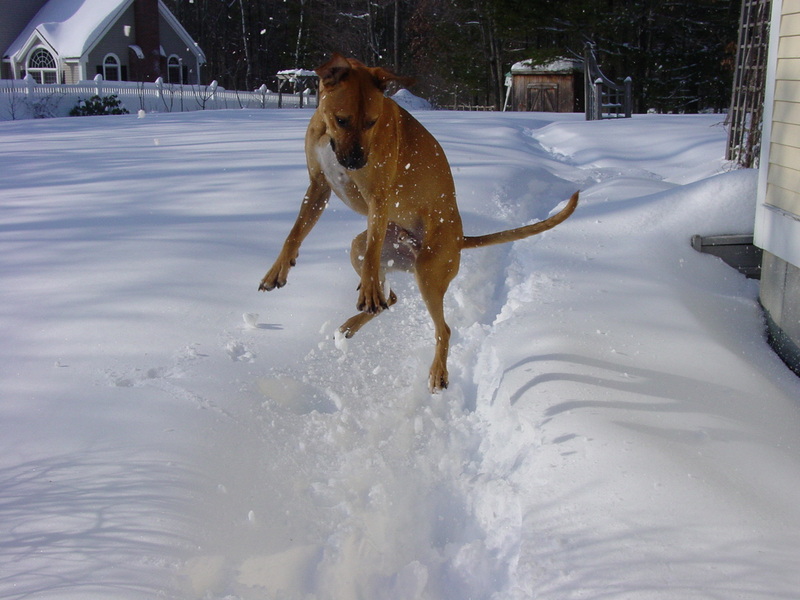 One of us caused my son to do a perfect face plant in about three feet of snow. (He came in, wiping his face. “What happened?” I asked. “I don’t want to tell you — you’ll laugh.” He was right.) One of us may be looking for a new home soon. So! Exciting news! The lovely and charming Coffee and a Book Chick has an interview up over on her website with me. Hasten there and you could win a copy of Evenfall! 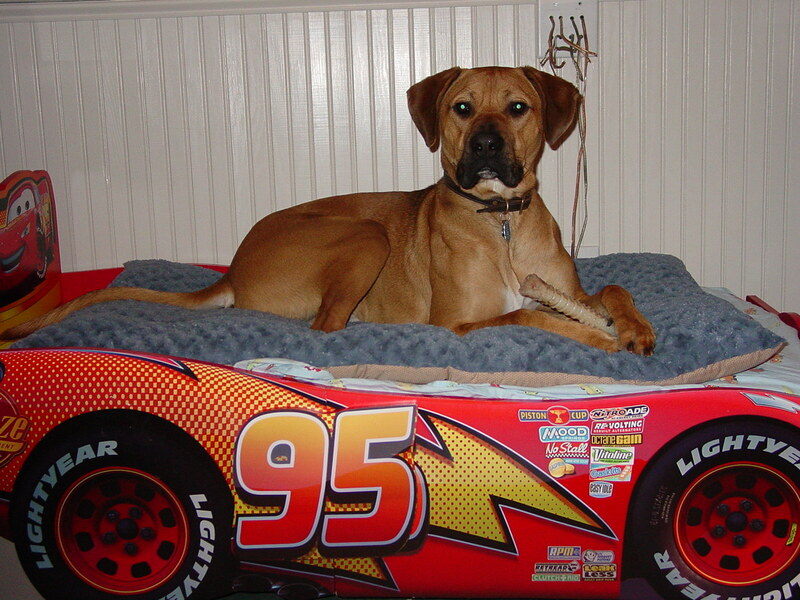 (She also has an awesome pup named Roma who could be twin to the slobbering beast …you can search her blog for pictures.) A big thank you to Coffee and a Book Chick for hosting me! Today’s the day for a giveaway here, too. I’ve been talking about the different writing communities I’ve joined over the year. Absolute Write is the most recent. It can be a little feisty — I lurked there for a whole year before I posted one comment — but I’ve been lucky enough to find a bunch of big-hearted, funny and fast-typing writerly types. Alice Loweecey is one of those people — and even better, she’s my ‘debut sister’ meaning her first novel is on the shelves right next to mine. I thought it would be fun to ask her a few questions about her book Force of Habit, which features a nun turned P.I.. Alice, you see, is an ex-nun. I attended catholic school with actual nuns for eight years. They were fabulous. Were you really a nun, or is this just a publicity stunt? As much as anything from The Sound of Music gives me hives, you know how in that movie Maria was always in trouble? That was my life in the convent. I got in trouble for whistling once! And we all played the guitar and sang at Folk Masses back then. Oh, and we perpetrated that crime against Cyd Charisse—the crime known as Liturgical Dance. Ah, the early 1980s. My nuns wielded rulers and the almighty power of control over recess. What does your protagonist carry as a weapon? When she was a nun she wielded a ruler too. So far in the series, she doesn’t carry a weapon. She’s athletic and knows self-defense, so she can fight off the bad guys when necessary. In later books, she’s going to learn how to shoot a Glock. To do this, her creator had to learn that skill. I am happy to report that I’m not a bad shot. 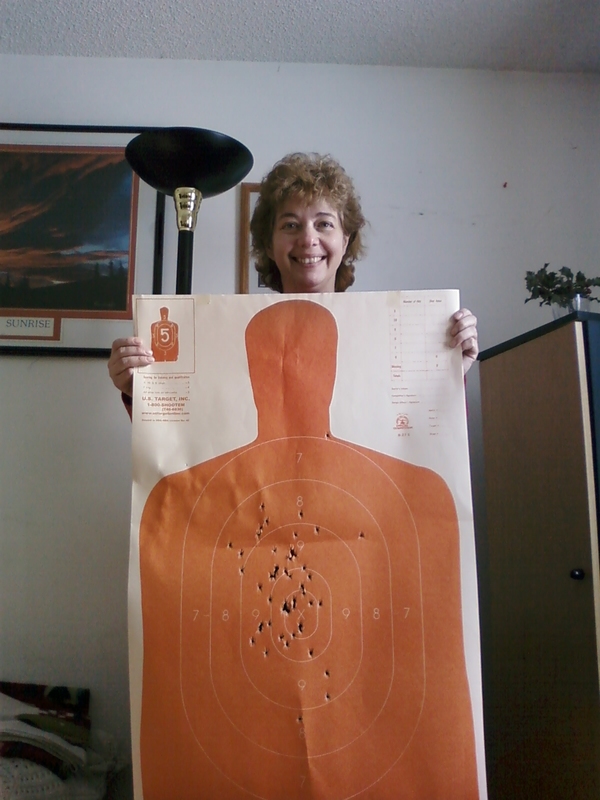 The photo is me with my target from the lesson. With my first shot, I hit the target in the neck. Not bad for someone who’d only dabbled in archery before. Alas for Giulia—so far she’s been a dyed-in-the-wool pacifist. But she wants to keep catching bad guys, so she’ll do what she has to do. There will be embarrassing (for her) humor involved. Your protagonist sounds intriguing and very different. How long did it take you to find an agent, and what types of reactions did you get along the way? I have this folder on my hard drive labeled “Passes.” It represents four solid years of work, three complete novels, and several layers of rhino hide. However, the idea percolated in my head, and wouldn’t leave me alone. Eight months later I had Force of Habit. I queried the same agent with it. He asked for the first three chapters—and passed. In the politest way possible, too. Ya gotta laugh. So I jumped onto the query-go-round, which immediately turned into a roller-coaster. I got requests for partials and fulls. I also got form rejections on requested fulls (ouch!). I got two offers to revise and resubmit on two different books. I had one agent love my characters and another say they were like watching beige paint dry. It truly is a subjective business. Then in spring of 2009, I sent a “Why not?” query to Kent D. Wolf, an agent whose list of sales and genres he was seeking looked interesting. The next day, he called to request the full of the mystery. (Agents don’t normally call for that. I was a bit startled.) Two days later, he called to discuss the book, the characters, the convent, and how I felt about revising. (Is the sky blue? Of course I was willing to revise!) Two days after that, he called to offer representation. That’s the long answer. The short answer is: It took me six days to find an agent. Okay, four years, 185 rejections, and six days. So, last question — we debut at the same time. I haven’t had my ‘real’ moment yet — the moment it all seems like this is really happening, the book will be published, and I’m not just making it up. Have you? If so, what is it? I had my “real” moment today—and it was a delayed reaction. Some writers I know say their “real” moment was when they got their signed contract, or their advance check, or their page proofs, or their box of books. All of those moments were “oh, wow!” moments for me. Amazon has started to ship my books already. The head of the company brought his copy in and I autographed it, then I went back to work. About three hours later, it hit me: I autographed my book for someone who bought it. Online. For real. It’s happened. I just sat there at my desk, and I got this huge grin on my face. Now I know it’s real. Last Christmas, my agent told me that my book sold the day before I started a 4-city tour with Denver and the Mile High Orchestra, my favorite band. (I was part of a big Christmas choir backing them up). I’d been writing a series of articles on the rehearsal process for BuddyHollywood.com, and the rest of the choir knew about by dreams of getting a book on the shelves of brick-and-mortar bookstores. When I announced my three-book deal, a fellow singer said, “All your dreams are coming true.” Today I can say: They are. Thank you Alice! I’m glad to have you as my debut sister! So, without further ado, the Random Number Generator has spoken, and it has chosen Jenna’s comment. Woo-hoo! 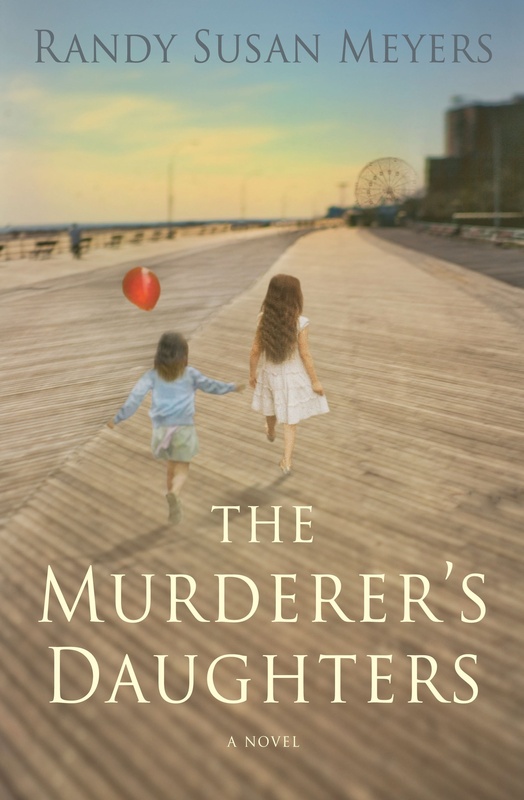 I promise to send a germ-free copy of The Murderer’s Daughters as soon as it is out in paperback. I am doing one final giveaway on Thursday, and it’s with a debut author who I think is going to have a fabulous career. Please come back then to check it out. Until then, keep those hand sanitizers loaded. The second community is Grub Street. If you have any aspirations toward writing and you live in New England, stop reading now and go check out their website. It’s totally worth it and I’ll wait. Back? Okay, Grub Street is pure awesome. It’s where I met my fabulous agent. And it’s where anyone who is serious about the craft of writing can go to learn. The first time I attended the Grub Street Conference, the Muse and the Marketplace, I was terrified. The second time, I met my agent. By the third time, I was actually able to converse with other writers in complete sentences. Who knows what this year’s conference will bring? Anyhow, Randy wrote a heart-breaker of a book titled The Murderer’s Daughters. After their parents separate, Lulu and Merry hear a knocking at their door one afternoon. It’s their father. Ten-year-old Lulu, the oldest and most responsible child, lets him in — with deadly consequences. While her parents fight, Lulu runs for help, only to find on her return that her father has murdered her mother, stabbed her sister, and tried to kill himself. How does a ten-year-old make sense of an act that changes her life forever, and how does she live with the ramifications of that act? For 30 years, Lulu and Merry try to do just that. They struggle with forgiveness, with the boundaries of sibling loyalty, and finally with redemption. Randy’s characters stayed with me long after I finished her book, and I think they’ll stay with you, too. To celebrate the fact that the paperback version of The Murderer’s Daughters will be hitting shelves at the same time as Evenfall, I’m giving away one copy of Susan’s book. Leave a comment by Tuesday, and you are eligible. IF I can reach my mailbox through the snow, that is. This weekend I took my mother and my daughter to the MFA to do cultural-type things. We visited a fashion photography exhibit, saw the new Art of the Americas wing, had lunch, drooled over the John Singer Sargent portraits (my favorite painter) and then went home. It was all very civilized and lovely. The white bed, I was informed, was covered with pink sheets and pink bows and was far too girly. I pointed out that sheets can be changed, bows can be removed, but no luck. They weren’t budging. “I am a full-grown boy now,” my son told me. Right. 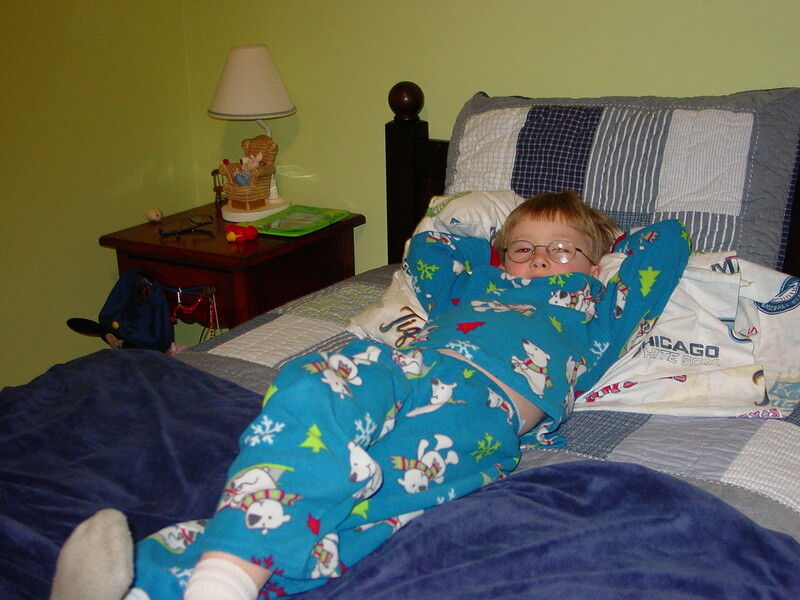 A full-grown boy who will need a boost into his bed for the next six years. That’s right. Instead of selling the toddler bed, they chose to give it away. TO HARLEY. Obviously, I can never leave them home alone again. So, we’ve been snowbound for two days. It’s been fairly productive. Today we made bread, I finished the disaster of a scarf I’ve been trying to knit, and I managed to clear the driveway with the snow blower without losing a limb. (If you’re reading this, Dad, all safety procedures were followed. Mostly. There’s supposed to be a spark when you turn the ignition key, right?) I’d show you a picture of all of the above, but I’m too exhausted. I have been very lucky as a writer. I’ve met incredibly generous people, people who freely gave of their time to make me a better writer. Ellen Meister is at the top of that list. About 10 years ago, I joined a writing forum where you could post your stories and have them critiqued. I was fortunate enough to have one of my stories catch Ellen’s eye, and she gave me fabulous feedback on it. She also took the time to electronically introduce me around the forum to other established literary writers, such as Mary Akers and Katrina Denza, who all treated me like a kid sister, letting me pal around and learn from them. It’s an experience for which I’m very grateful. It’s amazing to me, but Ellen and I are going to be sharing shelf space this year. In the time I’ve known Ellen, she’s published two books, both of which have been smart and funny. (She’s an overachiever like that.) 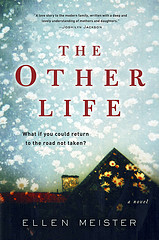 But it’s her third book — The Other Life — that I think is going to catapult her into becoming a household name. It’s about a woman, Quinn, who gets some devastating news about the baby she’s carrying. But unlike most people, Quinn has a choice – she can escape to a parallel life, one that’s glamorous and exciting, in which there’s no hint of any problems and in which her beloved mother is still alive. The catch? If she chooses that world, she must say goodbye to her husband and young son — forever. Shameless is only available in the US for season one. Now that I have become addicted to the Gallagher family’s travails, I can’t watch any more. I want my BBC, dammit! Paul Abbott, can you hear me? I will be having a book signing at the Andover Book Store in Andover, MA on Thursday, February 10th at 7 p.m.. Please come. I will be having a book signing at RJ Julia in Madison, CT on Sunday, Feb. 13 at 4:30 p.m.. Please come. If I can get my act together, there will be chocolate cookies, free mini-bookmarks, and passwords to let you unlock secret pages on this website at both events. Bonus info: I’m doing a book giveaway on Thursday. And it’s a really good book, so come back and check it out if you can!